Taiwan Semiconductor Manufacturing Co., the world's largest chip fab and a manufacturer of Apple's A9 chips used in iPhone 6s models, has posted earnings that beat analysts estimates for the quarter and established the company's highest annual earnings in 29 years. According to a report by Focus Taiwan, TSMC reported NT$306.57 billion ($9.15 billion US) in net profit for 2015, a 16.2 percent annual increase and a record high for the firm. Its consolidated sales rose 10.6 percent to NT$843.497 billion ($25.2 billion US), also a new record. About $3.7 billion of TSMC's revenue comes from Apple. 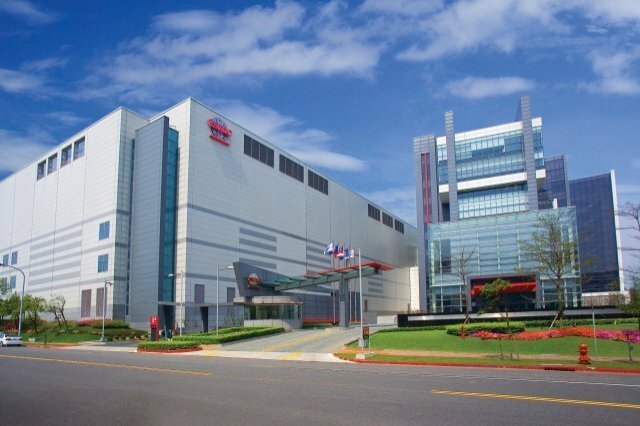 For the December quarter, TSMC exceeded analysts' average estimates of NT$68.5 billion to reach NT$72.8 billion ($2.2 billion US) in net income, according to a report by Tim Culpan of Bloomberg. Culpan stated that TSMC's record quarter comes alongside "a move to more sophisticated manufacturing technology," and noted that Apple had also forecast record revenue, "fueled by customer upgrades and sales in China, even with the Asian country's economic slowdown." Bloomberg also referenced data from the Chinese government noting a 33 percent increase in non-Android smartphone sales, "the vast majority of which would be iPhones," which AppleInsider highlighted on Tuesday. It also cited Ethan Chen, an analyst with Sinopac Financial Holdings, as saying "We think TSMC's wafer shipment will regain traction on a quarterly basis in 2Q16 thanks to regaining most allocation for Apple A10 chip orders." In September, TSMC was rumored to have been selected as Apple's exclusive manufacturer for this year's A10 chip expected to power iPhone 7 and new iPad models. The new chip is expected to use a 16-nanometer process combined with a new InFO (integrated fan out) architecture, which allows chips to be stacked on top of each other and mounted directly to a circuit board, instead of onto a substrate first, reducing both the thickness and the weight of devices. Apple is rumored to be TSMC's first customer to use InFo, and A10 production is expected to begin in March. Samsung had been Apple's sole source for ARM-based processors powering iPods and iOS devices going back to 2006, the year Apple dropped PortalPlayer and moved to a Samsung chip for the fifth generation iPod. Apple subsequently used Samsung-designed chips in early iPhones (after Intel expressed no interest). It embarked upon an internal chip design effort in 2008 that included the acquisition of fabless chip designers PA Semi and Intrinsity. That effort culminated in the release of A4, Apple's first custom designed ARM processor, which was used in 2010 to power the new iPad as well as iPhone 4 and a new iOS-powered Apple TV. The company continued to rapidly advance upon its custom chip designs, resulting in the 2013 release of its pioneering 64-bit A7, a new architecture that sent Qualcomm scrambling to accelerate its own chip roadmap. Apple has recruited chip design talent away from Texas Instruments (which exited the consumer market in 2012 after a string of Android product failures doomed its OMAP chips), along with other struggling chipmakers including AMD, IBM and Freescale. As Apple's chip appetite grew--and as its chip partner Samsung increasingly promoted its own Exynos processors--the company courted TSMC as a new supplier for the A8 chips that would power iPhone 6. TSMC had more advanced chip fabrication technology than its South Korean rival up until 2009, when Samsung poached disgruntled TSMC veteran Liang Mong-song to lead its own System LSI chip fab as a Chief Technology Officer. After illegally delivering TSMC trade secrets to Samsung, Liang's System LSI launched a rival 14nm FinFET process superior in some respects to TSMC's. While Apple shifted most of its 20nm A8 production to TSMC, it used Samsung as a primary supplier for about 60 to 70 percent of its A9 chips. Samsung's 14nm process resulted in smaller A9 chips than the 16nm FinFET process used by TSMC, although the latter appeared to perform better. Tests showed that in real world use, the actual difference between the two batches of A9 chips was marginal. This year, Apple is expected to exclusively use TSMC and its new InFo architecture to build the A10. In parallel, Samsung has taken over Qualcomm's future chip fabrication from TSMC, the only foundry that has ever produced Qualcomm's high-end Snapdragon chips. However, with Apple dominating premium, high-end smartphones and tablets and with sales of higher end Androids shrinking and fragmented between Qualcomm, Samsung's own Exynos, and other in-house chip designs from Huawei and LG, Qualcomm appears to be at risk of suffering the same inability to risk investment in expensive new chip technology that earlier forced Texas Instruments and Nvidia out of the smartphone chip business. Antutu benchmarks already show that Apple's A9 is significantly faster than the current chips from Qualcomm, Huawei and Samsung, even when those chips are clocked higher and paired with more RAM (albeit also running Google's less efficient Android software).